Take a look at our Top 10 picks for the 2016 GNYSF. Featuring old favorites, like the annual butter sculpture, as well as a few new additions, there&apos;s plenty of fun for adults and children alike! 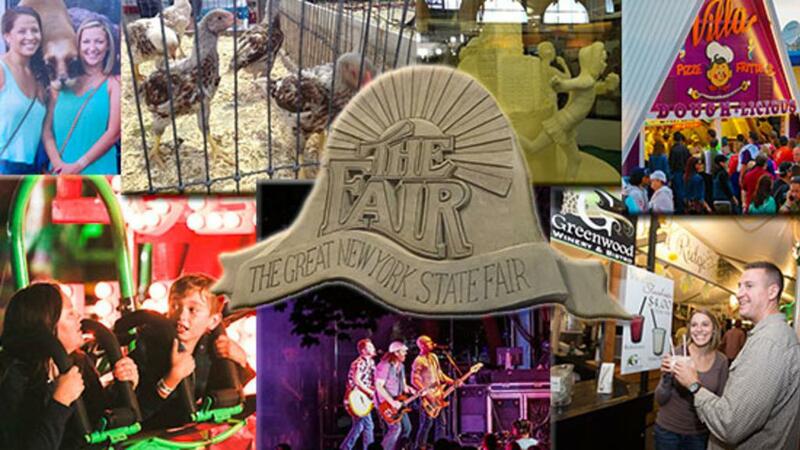 With all the changes to the fairgrounds this year you won&apos;t want to miss out on the accompanying MAP to navigate your way to all the top spots. Potato Booth: The $1 potato with your choice of toppings is one of the best food deals at the Fair and will be returning the Horticulture Building, with only a slight move. Instead of its regular location in the back corner the stand will take over the former New York Café restaurant space on the left side of the building. Don’t miss out on the $1 Sweet Potato option while you’re there either. With all NYS toppings such as maple syrup, sour cream and butter you might just have to get one of each! $ *But practically FREE!